Everything is bigger in Texas, Right? Well, according to Google Inc (NASDAQ:GOOG) this state is windier than many others as well. For this reason, the search engine giant has made another big move. This time around, the company made another wind energy investment in the Lone Star State. For those who live in Texas, this may not be much of a surprise. For those in other parts of the world reading this, you may be wondering why it made this decision. 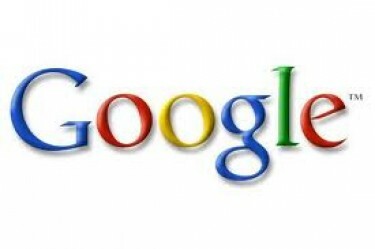 Later in December 2013, Google finalized an agreement to invest $75 million in a wind farm located in Carson City, just outside of Amarillo. Known as Panhandle 2, this facility was developed by Pattern Energy Group LP. Here is the detail that is most exciting: this wind farm has the ability to generate enough renewable energy to power more than 50,000 homes. This may not be a huge number, when considering how many homes are located in the state, however, it goes a long way in showing what it can do for locals. At this time, Google Inc (NASDAQ:GOOG) believes that the facility can be operational by the end of 2014. In other words, it is not long until local homes are relying on wind power as opposed to other forms of energy. Let’s face it: this is a space in which Google want s to become a major player. This facility is the company’s 15th renewable energy investment, as well as its second in Texas. Early last year, the company put $200 million into the Spinning Spur wind farm. Furthermore, Google Inc (NASDAQ:GOOG) has a partnership in place with Happy Hereford wind farm, also located in Texas. While many companies are doing their part in becoming more energy efficient, Google is putting its money where its mouth is. Once again, the company is making a big investment in Texas wind energy. This goes a long way in showing that Google continues to chase after its goal of operating on 100 percent renewable energy. Google Inc (NASDAQ:GOOG) doesn’t just talk about making changes. Instead, the company will do whatever it takes to make progress and help others while doing so. This is just another example. The real question is: when is Google going to make another investment in the Lone Star State? Or maybe next time around the company will pick another location. Only time will tell!